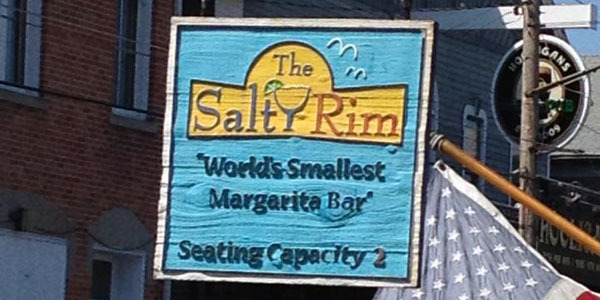 The Salty Rim is the World's Smallest Margarita Bar. No kidding! They have 2 seats and that is all. It may be small but there's enough tequila for a small army.